Earn up to 37,704 reward points. Magnificent new instrument from the masters. Inspired by a pre-1950s design while taking into account the needs of modern musical repertoire and performance practice, this brand new cylindrical bore compliments the R13 and RC bore families, adding a new acoustic dimension to the Buffet Crampon catalog. The project was completed with the objective of offering a clarinet in its most natural form, with no unnecessary changes or overstated technology. The new bore concept traces its inspiration to one of the earliest modern professional clarinets, the fabled Buffet Crampon BC20. Featuring a cylindrical bore design, the new clarinet harkens back to the purity of sound produced by the BC20, with a tone hole placement inspired by the Tosca design. The result is an instrument that presents a clear, focused, rich sound suitable for any acoustic environment and an even scale for consistent intonation throughout all registers. These innovations allow the amateur or professional clarinetist to focus on making music, rather than constantly adjusting their embouchure and voicing. 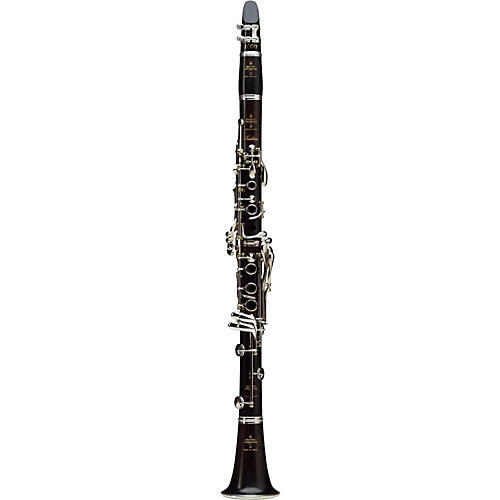 The new clarinet also places its roots firmly in research and development from Buffet Crampon's American and French Artists, the first time in its 190 year history American Artists have been involved in the design of a Buffet Crampon professional clarinet.